Casa AA designed by Parque Humano is a luxury contemporary home in Mexico City, Mexico that sits 2,249 meters above sea level. The house is organized around the swimming pool and the open landscape. The L-shape floor plan maximizes the outdoor views, connecting the interiors with the landscape. This modern luxury home in London, England has over 16,300 sq. ft. of living space. Designed and built by Harrison Varma, the luxury mansion features an indoor swimming pool, a cinema, 8 bedrooms, 6 reception rooms, gym and leisure facilities, staff apartment, 8 person elevator and underground parking garage for 6 cars. 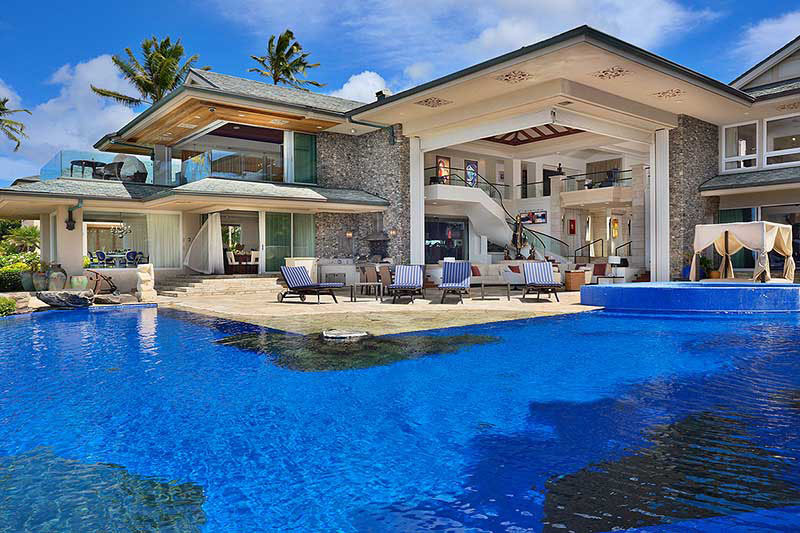 Jewel of Maui is a stunning beachfront estate situated on a white sand beach in Kapalua on the island of Maui, Hawaii. 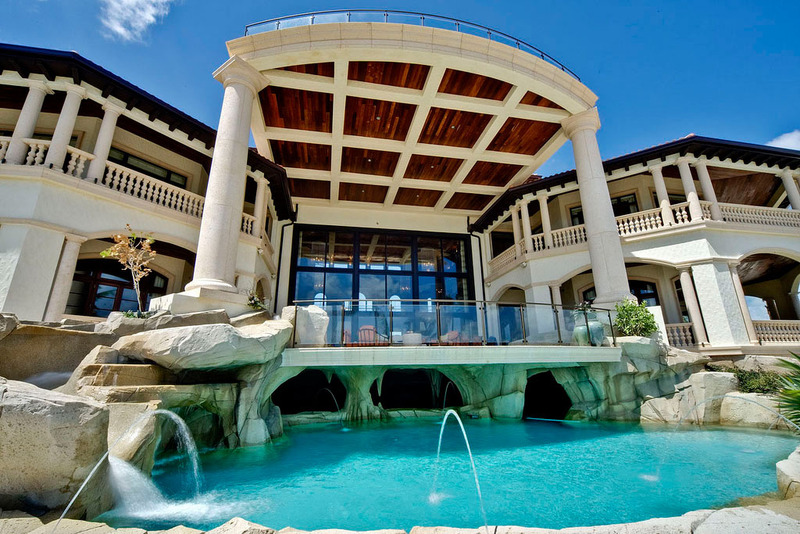 This opulent property has been featured on the TV show Lifestyles of the Rich and Famous. Interior designer Steven Cordrey created a contemporary tropical paradise with art treasures and handcrafted furnishing around the world. This luxury home in Anaheim Hills, California has a setting of a secluded resort complete with rock lagoon pool, lush green foliage, exotic plants and an air conditioned indoor basketball court. 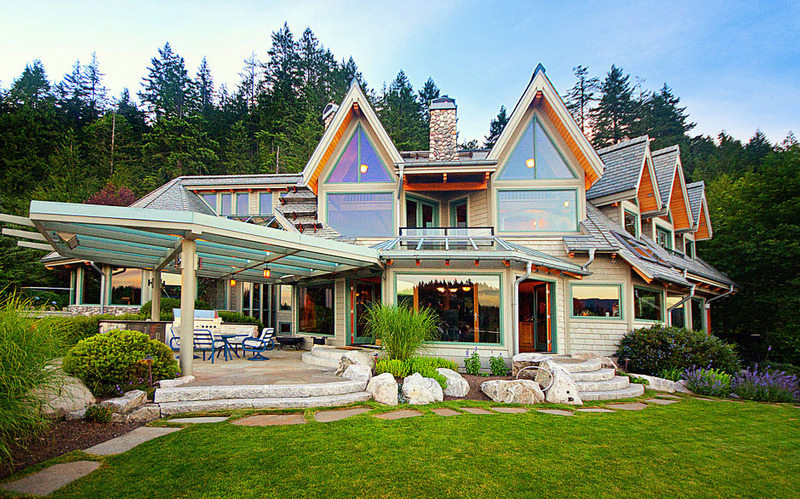 Nestled on 1.5 acres of landscaped grounds, the 7,100 sq. ft. home also features a 1,400 bottle wine cellar. 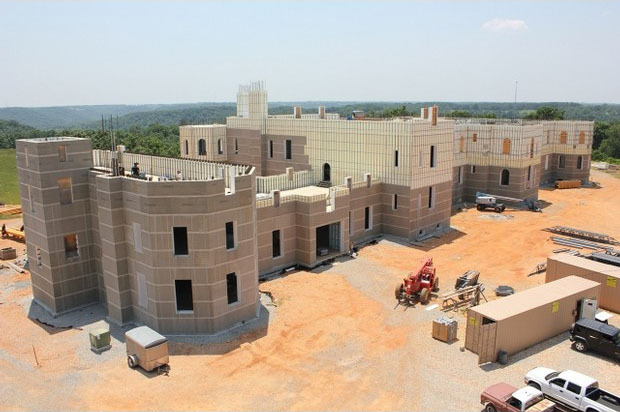 Nestled in the Ozark Mountains of rural Missouri, Pensmore is on track to claim bragging rights as one of the world’s largest private homes upon its completion in 2013. This chateau-style mansion will have 72,000-square-feet on more than 500 acres of land. Its owner, Steven Huff, chairman of TF Concrete Forming Systems, wants Pensmore to be the first major energy efficient, environmentally sustainable single-family residence of this caliber. 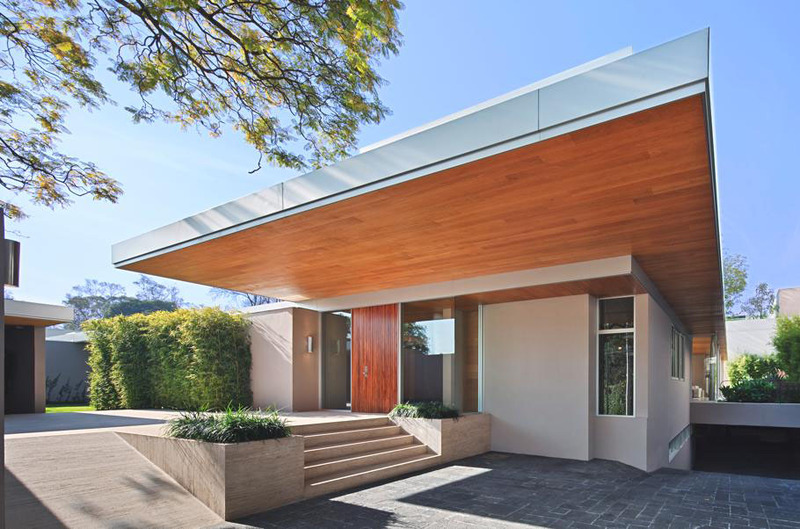 The home’s concrete shell is reinforced with “Helix” steel fibers by PolyTorx. The twist-shaped fibers will act as an added guard within the structure against tornadoes and earthquakes. 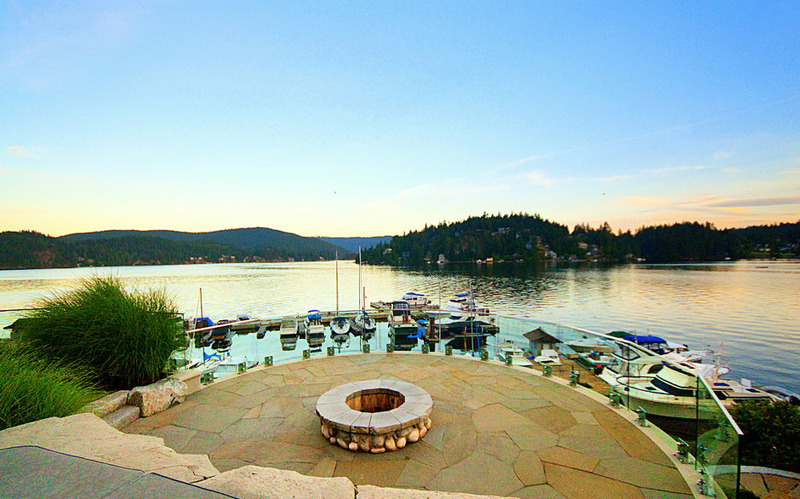 Perched above the sea and rock formations in Deep Cove, North Vancouver, Canada, this stunning waterfront residence offers 13,000 sq. ft. of luxury living space. The exquisitely crafted home features an intricate blend of custom milled beam work, slate roofing, fine woodwork, natural stone and hardwoods. All principal rooms open out to intimate oceanfront covered patios and manicured lawns. The lower level includes a custom basketball court, a billiard lounge, a games room, a home theatre and a wine cellar. This beautiful estate offers casual elegance wrapped in 270 degrees of ocean and coastline views in a serene setting. Located on the beach in the Grand Cayman in Cayman Islands, this luxury home is the ultimate tropical retreat. The contemporary interior design is the epitome of tropical elegance. A basement cave spa with grotto pools and waterslides by the beach offer exotic relaxation with all the privacy and luxury. 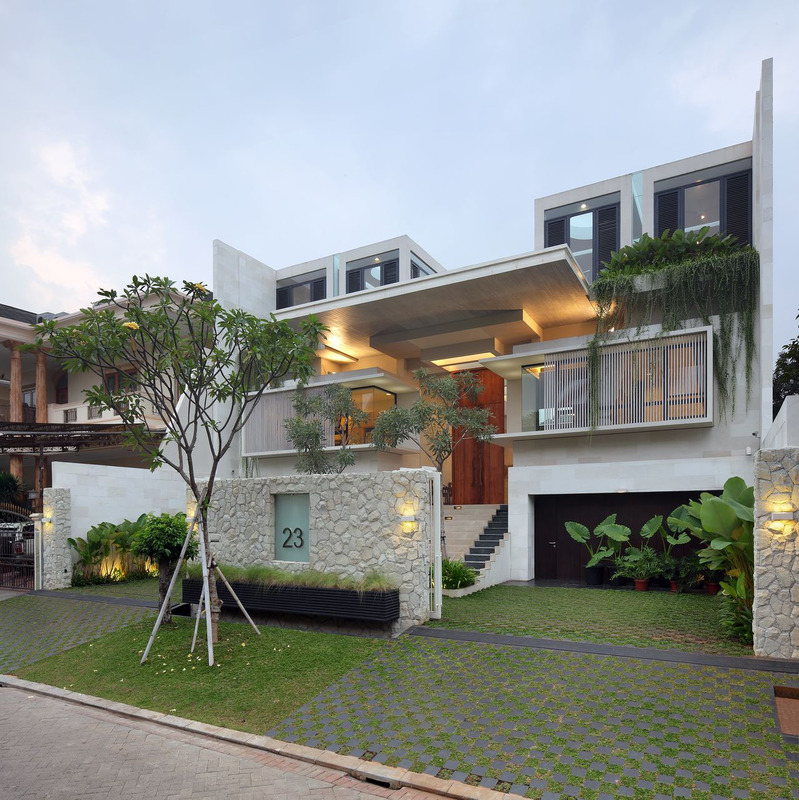 This modern luxury home in Jakarta, Indonesia is built around an interior courtyard garden. The lower level courtyard has a swimming pool and a garden. The second level outdoor space is dominated by a safety glass wrapped by a reflecting pond. The wooden front door with custom floral pattern reflects the courtyard inside. Plenty of natural light filters throughout the house with the interior garden courtyard providing a sense of peace and tranquility.